Our Pre-Mixes Are Ready for their Close-Up! 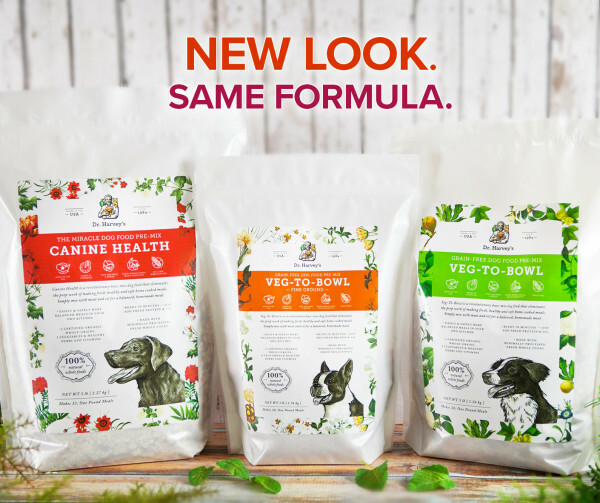 We’ve made a positive change: Our popular Canine Health and Veg-to-Bowl pre-mixes are now available in beautiful, nature-inspired new packaging. And be assured that we haven’t changed a thing about what’s inside. Each package still contains the healthy, wholesome ingredients who know – and that your companion loves! We’ve refreshed the packaging on our popular pre-mix products! Our formulas have not changed. The size of the bags have not changed.